Software developers are constantly working to change the face of gaming. The hard work being put by software developers manifest in different forms, at times we can all see the changes but on other occasions, the changes take place in the background and it’s difficult for outsiders to know. This article is going to focus on the former i.e. gaming innovations that we all see and experience. Currently, most if not all games are currently played using keyboards, control pads and other tools in the same mould. However, a look at the work being done by software developers show that this may no longer be the case in the near future. Rather than using gamepads to control game characters, players playing different casino games at casinos online such as NetBet will soon be able to use their own hands to control game characters and play all sorts of games. Intel RealSense Technology is the pioneer of this gaming innovation. The first test of this gaming innovation was done on a first-person shooter game. A 3D camera was installed on a computer screen and this camera tracks 22 different points on the human hand. As the player moves his hand, the same action corresponds with the action taken by the game character. When this gaming innovation finally becomes the default, players will be able to engage with the game more. Voice recognition software has been in existence for quite some time now but it’s only starting to make its entry into the gaming industry now. Through the use of voice recognition, players are now able to ditch controllers and control game characters using their voices. 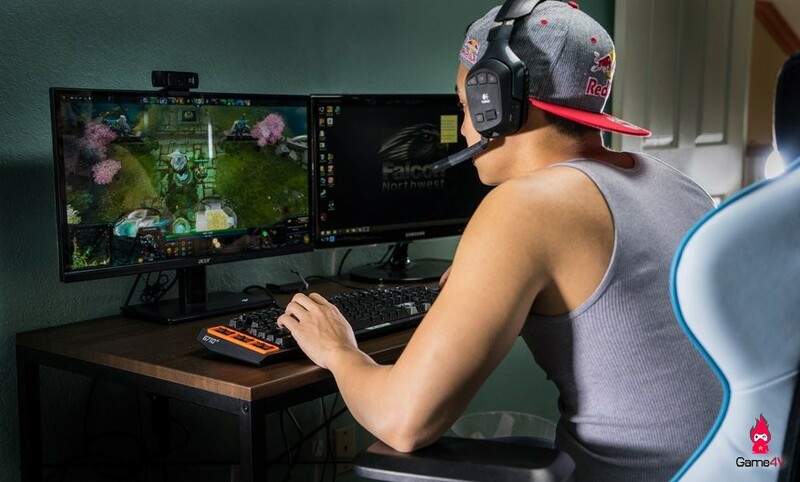 Voice recognition in gaming can work in different scenarios be it turning the game On/Off (loading it), choosing game modes, controlling gameplay, and interacting with other gamers online. Facial recognition is promising to be a game changer in the gaming industry. Currently, facial recognition is being tested on two different fronts. First pertains to the use of facial recognition in creating avatars. Through this innovation, an avatar can be created which resembles your real face thereby allowing other gamers who know you in real life to connect with you more easily. The other use of facial recognition currently being tested now is creating games that adapt to the emotions of the player. This means that tech would be able to scan the player’s face and denote the overall mood of the player during gameplay. If a grime appears on the player’s face during gameplay, the game will automatically dial down its difficulty level. One of the major challenges that gamers face today is that they have to constantly clear up their devices in order to open up more space. However, this will soon be a thing of the past as most software developers are looking at creating games that integrate cloud gaming. Instead of downloading all of the components of a game, players will simply worry about topping up their internet bundles as they will be accessing games from the cloud.